William Shakespeare died on 23 April 1616, 400 years ago, in the small Warwickshire town of his birth. He was 52 years of age: still young (or youngish, at least) by modern reckonings, though his death mightn’t have seemed to his contemporaries like an early departure from the world. 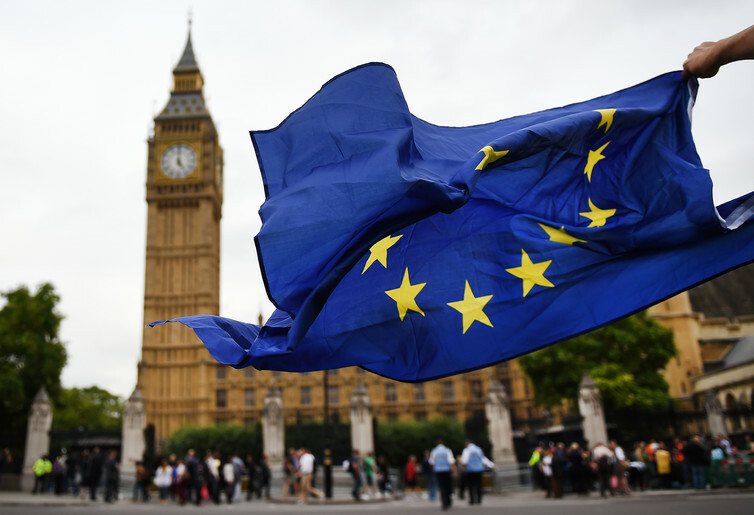 Most of the population who survived childhood in England at this time were apt to die before the age of 60, and old age was a state one entered at what today might be thought a surprisingly youthful age. Many of Shakespeare’s fellow-writers had died, or were soon to do so, at a younger age than he: Christopher Marlowe, in a violent brawl, at 29; Francis Beaumont, following a stroke, at 31 (also in 1616: just 48 days, as it happened, before Shakespeare’s own death); Robert Greene, penitent and impoverished, of a fever, in the garret of a shoemaker’s house, at 34; Thomas Kyd, after “bitter times and privy broken passions”, at 35; George Herbert, of consumption, at 39; John Fletcher, from the plague, at 46; Edmund Spenser, “for lack of bread” (so it was rumoured), at 47; and Thomas Middleton, also at 47, from causes unknown. The cause or causes of Shakespeare’s death are similarly unknown, though in recent years they have become a topic of persistent speculation. Syphilis contracted by visits to the brothels of Turnbull Street, mercury or arsenic poisoning following treatment for this infection, alcoholism, obesity, cardiac failure, a sudden stroke brought on by the alarming news of a family disgrace – that Shakespeare’s son-in-law, Thomas Quiney, husband of his younger daughter, Judith, had been responsible for the pregnancy and death of a young local woman named Margaret Wheeler – have all been advanced as possible factors leading to Shakespeare’s death. 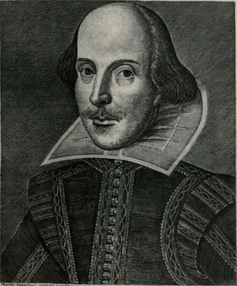 A portrait of Shakespeare from the First Folio of his plays. 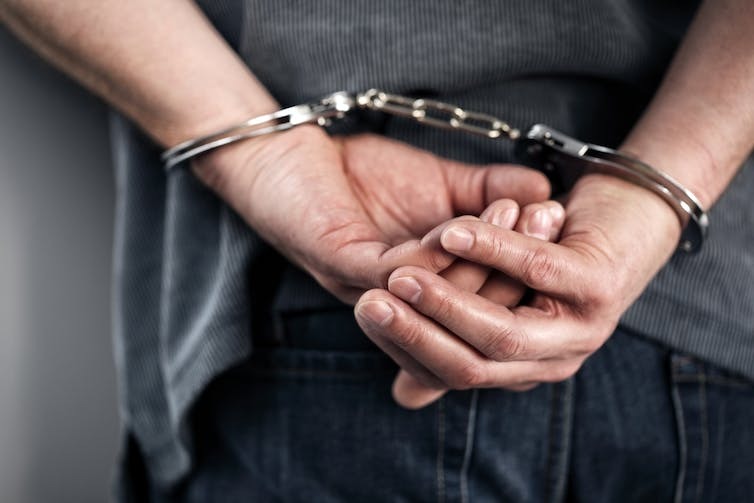 Francis Thackeray, Director of the Institute for Human Evolution at the University of Witwatersrand, believes that cannabis was the ultimate cause of Shakespeare’s death, and has been hoping – in defiance of the famous ban on Shakespeare’s tomb (“Curst be he that moves my bones”, etc.) to inspect the poet’s teeth in order to confirm this theory. (“Teeth are not bones”, Dr Thackeray somewhat controversially insists.) No convincing evidence, alas, has yet been produced to support any of these theories. More intriguing than the actual pathology of Shakespeare’s death, however, may be another set of problems that have largely evaded the eye of biographers, though they seem at times – in a wider, more general sense – to have held the poet’s own sometimes playful attention. 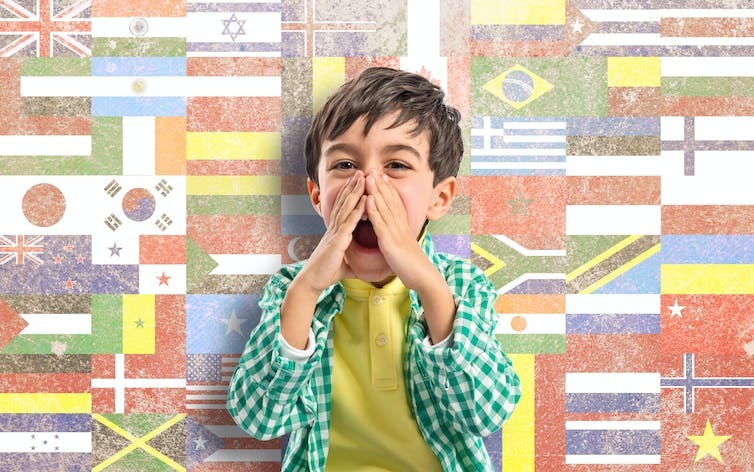 They turn on the question of fame: how it is constituted; how slowly and indirectly it’s often achieved, how easily it may be delayed, diverted, or lost altogether from view. On 25 April 1616, two days after his death, Shakespeare was buried in the chancel of Holy Trinity Church at Stratford, having earned this modest place of honour as much (it would seem) through his local reputation as a respected citizen as from any deep sense of his wider professional achievements. 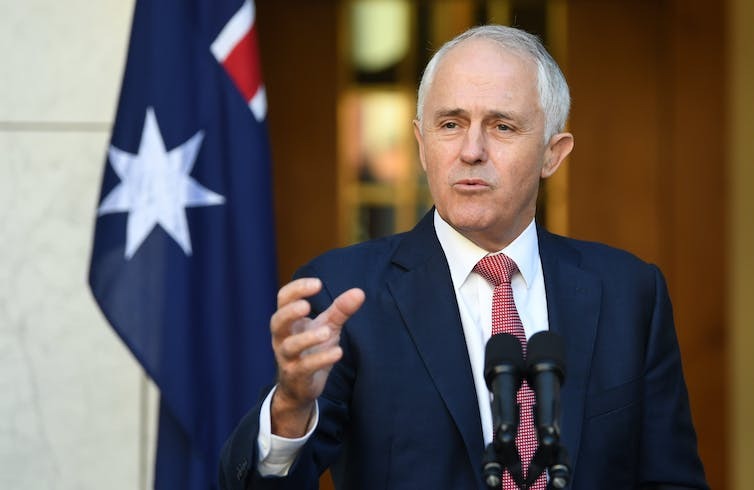 No memorial gatherings were held in the nation’s capital, where he had made his career, or, it would seem, elsewhere in the country. The company of players that he had led for so long did not pause (so far as we know) to acknowledge his passing, nor did his patron and protector, King James, whom he had loyally served. Only one writer, a minor Oxfordshire poet named William Basse, felt moved to offer, at some unknown date following his death, a few lines to the memory of Shakespeare, with whom he may not have been personally acquainted. Hoping that Shakespeare might be interred at Westminster but foreseeing problems of crowding at the Abbey, Basse began by urging other distinguished English poets to roll over in their tombs, in order to make room for the new arrival. Renownèd Spenser, lie a thought more nigh. 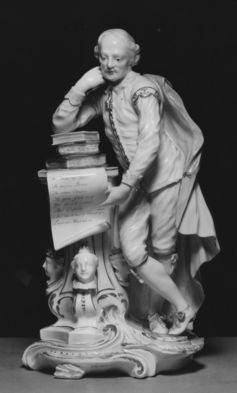 None of these poets responded to Basse’s injunctions, however, and Shakespeare was not to win his place in the Abbey for more than a hundred years, when Richard Boyle, third Earl of Burlington, commissioned William Kent to design and Peter Scheemakers to sculpt this life-size white marble statue of the poet – standing cross-legged, leaning thoughtfully on a pile of books – to adorn Poets’ Corner. A Derby porcelain figure of Shakespeare modelled after the statue of 1741 by Peter Scheemakers in Poets’ Corner. On the wall behind this statue, erected in the Abbey in January 1741, is a tablet with a Latin inscription (perhaps contributed by the poet Alexander Pope) conceding the belated arrival of the memorial: “William Shakespeare,/124 years after his death/ erected by public love”. Basse’s verses were in early circulation, but not published until 1633. 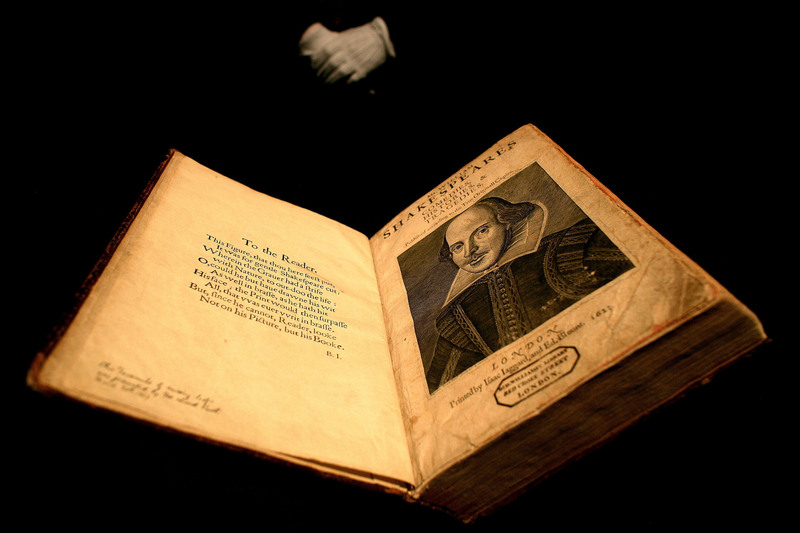 No other poem to Shakespeare’s memory is known to have been written before the appearance of the First Folio in 1623. No effort appears to have been made in the months and years following the poet’s death to assemble a tributary volume, honouring the man and his works. None of Shakespeare’s other contemporaries noted the immediate fact of his passing in any surviving letter, journal, or record. No dispatches, private or diplomatic, carried the news of his death beyond Britain to the wider world. Why did the death of Shakespeare cause so little public grief, so little public excitement, in and beyond the country of his birth? 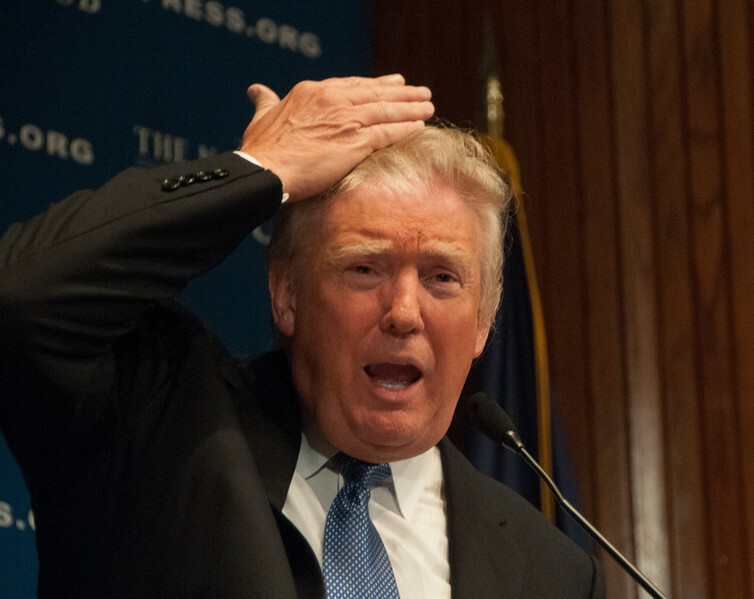 Why wasn’t his passing an occasion for widespread mourning, and widespread celebration of his prodigious achievements? What does this curious silence tell us about Shakespeare’s reputation in 1616; about the status of his profession and the state of letters more generally in Britain at this time? Shakespeare’s death occurred upon St George’s Day. That day was famous for the annual rites of prayer, procession, and feasting at Windsor by members of the Order of the Garter, England’s leading chivalric institution, founded in 1348 by Edward III. Marking as it did the anniversary of the supposed martyrdom in AD 303 of St George of Cappadocia, St George’s Day was celebrated in numerous countries in and beyond Europe, as it is today, but had emerged somewhat bizarrely in late mediaeval times as a day of national significance in England. 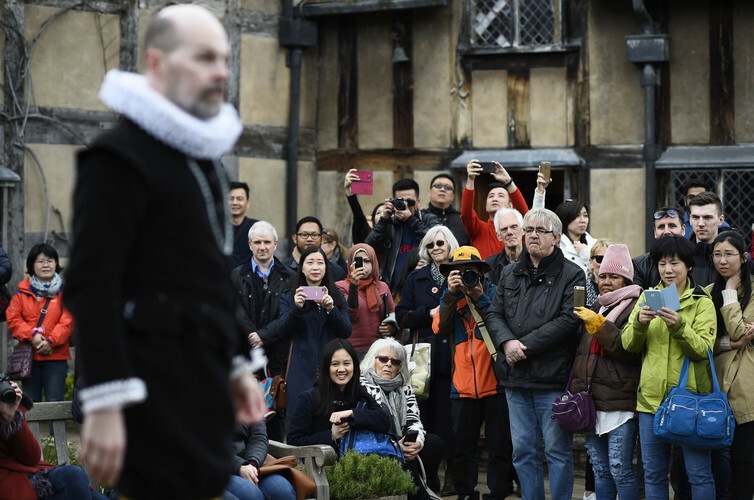 Tourists watch actors perform at the house where William Shakespeare was born during celebrations to mark the 400th anniversary of his death. On St George’s Day 1616, as Shakespeare lay dying in far-off Warwickshire, King James – seemingly untroubled by prior knowledge of this event – was entertained in London by a poet of a rather different order named William Fennor. Fennor was something of a royal favourite, famed for his facetious contests in verse, often in the King’s presence, with the Thames bargeman, John Taylor, the so-called Water Poet: a man whom James – as Ben Jonson despairingly reported to William Drummond – reckoned to be the finest poet in the kingdom. In the days and weeks that followed, as the news of the poet’s death (one must assume) filtered gradually through to the capital, there is no recorded mention in private correspondence or official documents of Shakespeare’s name. Other more pressing matters were now absorbing the nation. Shakespeare had made a remarkably modest exit from the theatre of the world: largely un-applauded, largely unobserved. It was a very quiet death. The silence that followed the death of Shakespeare is the more remarkable coming as it did in an age that had developed such elaborate rituals of public mourning, panegyric, and commemoration, most lavishly displayed at the death of a monarch or peer of the realm, but also occasionally set in train by the death of an exceptional commoner. Consider the tributes paid to another great writer of the period, William Camden, antiquarian scholar and Clarenceux herald of arms, who died in London in late November 1623; a couple of weeks, as chance would have it, after the publication of Shakespeare’s First Folio. 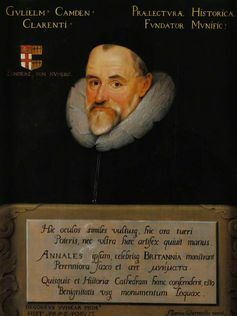 Portrait of William Camden by Marcus Gheeraerts the Younger (1609). Camden was a man of quite humble social origins – like Shakespeare himself, whose father was a maker of gloves and leather goods in Stratford. Camden’s father was a painter-stainer, whose job it was to decorate coats of arms and other heraldic devices. By the time of his death Camden was widely recognized, in Britain and abroad, as one of the country’s outstanding scholars. Eulogies were delivered at Oxford and published along with other tributes in a memorial volume soon after his death. At Westminster his body was escorted to the Abbey on 19 November by a large retinue of mourners, led by 26 poor men wearing gowns, followed by soberly attired gentlemen, esquires, knights, and members of the College of Arms, the hearse being flanked by earls, barons, and other peers of the realm, together with the Lord Keeper, Bishop John Williams, and other divines. Camden’s imposing funeral mirrored on a smaller scale the huge procession of 1,600 mourners which in 1603 had accompanied the body of Elizabeth I to its final resting place in the Abbey. There were particular reasons, then, why Camden should have been accorded a rather grand funeral of his own. But mightn’t there have been good reasons for Shakespeare, likewise – whom we see today as the outstanding writer of his age – to have been honoured at his death in a suitably ceremonious fashion? It’s curious to realize, however, that Shakespeare at the time of his death wasn’t yet universally seen as the outstanding writer of his age. Ben Jonson by George Vertue (1684-1786) after Gerard van Honthorst (1590-1656). At this quite extraordinary moment in the history of English letters and intellectual exchange there was more than one contender for that title. 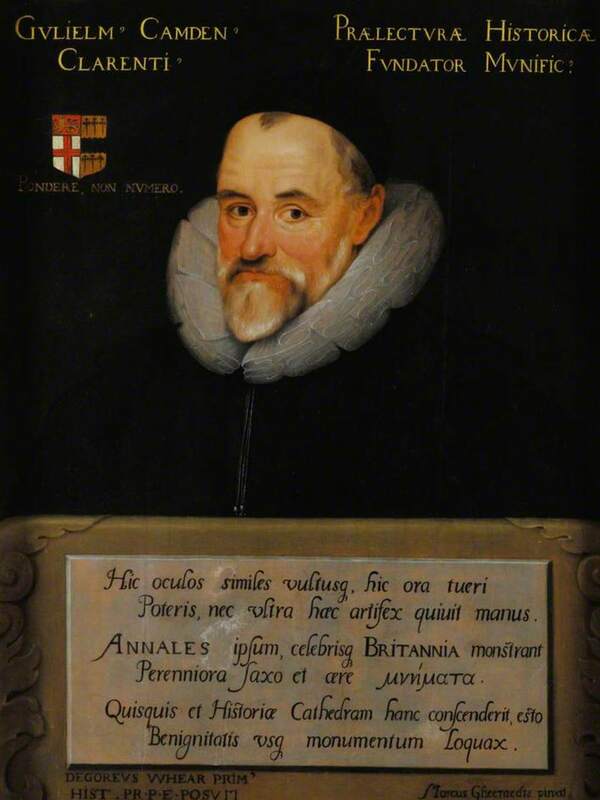 William Camden himself – an admired poet in addition to his other talents, and friend and mentor of other poets of the day – had included Shakespeare’s name in a list, published in 1614, of “the most pregnant wits of these our times, whom succeeding ages may justly admire”, placing him, without differentiation, alongside Edmund Spenser, John Owen, Thomas Campion, Michael Drayton, George Chapman, John Marston, Hugh Holland and Ben Jonson, the last two of whom he had taught at Westminster School. But it was another poet, Sir Philip Sidney, whom Camden had befriended during his student days at Oxford, that he most passionately admired, and continued to regard – following Sidney’s early death at the age of 32 in 1586 – as the country’s supreme writer. “Our Britain is the glory of earth and its precious jewel,/ But Sidney was the precious jewel of Britain”, Camden had written in a memorial poem in Latin mourning his friend’s death. No commoner poet in England had ever been escorted to his grave with such pomp as was furnished for Sidney’s funeral at St Paul’s Cathedral, London, on 16 February 1587. The 700-man procession was headed by 32 poor men, representing the number of years that Sidney had lived, with fifes and drums “playing softly” beside them. They were followed by trumpeters and gentlemen and yeomen servants, physicians, surgeons, chaplains, knights and esquires, heralds bearing aloft Sidney’s spurs and gauntlet, his helm and crest, his sword and targe, his coat of arms. Then came the hearse containing Sidney’s body. Behind them walked the chief mourner, Philip’s young brother, Robert, accompanied by the Earls of Leicester, Pembroke, Huntingdon, and Essex, followed by representatives from the states of Holland and Zealand. Next came the Lord Mayor and Aldermen of the City of London, with 120 members of the Company of Grocers, and, at the rear of the procession, “citizens of London practised in arms, about 300, who marched three by three”. 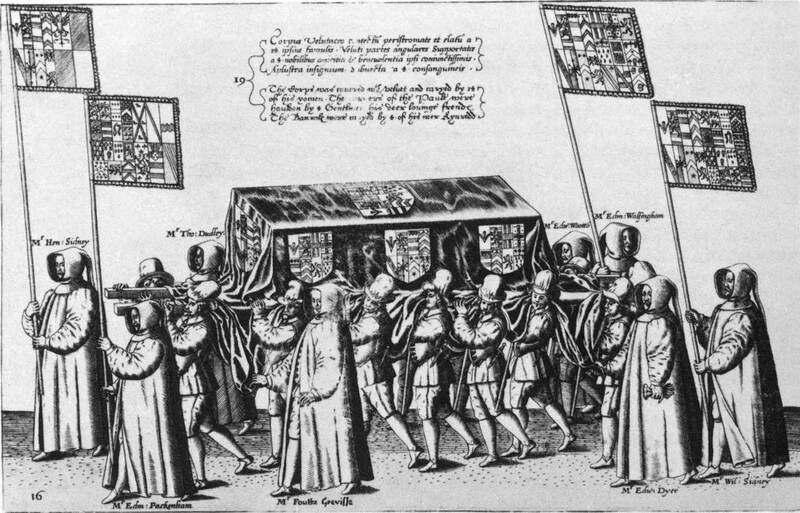 A 1587 engraving by Theodor de Bry showing the casket of Sir Philip Sidney carried by pallbearers. Sidney’s funeral was a moving salute to a man who was widely admired not just for his military, civic and diplomatic virtues, but as the outstanding writer of his day. He fulfilled in exemplary fashion, as Shakespeare curiously did not, the Renaissance ideal of what a poet should strive to be. In an extraordinary act of homage not before seen in England, but soon to be commonly followed at the death of distinguished writers, the Universities of Oxford and Cambridge produced three volumes of Latin verse lauding Sidney’s achievements, while a fourth volume of similar tributes was published by the University of Leiden. The collection from Cambridge, presented contributions from 63 Cambridge men, together with a sonnet in English by King James VI of Scotland, the future King James I of Britain. Earlier English poets had been mourned at their passing, if not in these terms and not on this scale, then with more enthusiasm than was evident at the death of Shakespeare. Edmund Spenser at his death in 1599 was buried in Westminster Abbey next to Chaucer, “this hearse being attended by poets, and mournful elegies and poems with the pens that wrote them thrown into his tomb”. The deaths of Thomas Wyatt and Michael Drayton were similarly lamented. 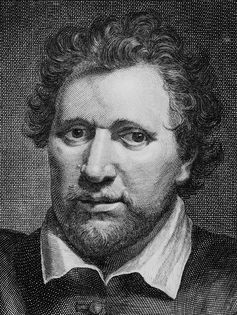 When, 21 years after Shakespeare’s death, his former friend and colleague Ben Jonson came at last to die, the crowd that gathered at his house in Westminster to accompany his body to his grave in the Abbey included “all or the greatest part of the nobility and gentry then in the town”. Within months of his death a volume of 33 poems was in preparation and a dozen additional elegies had appeared in print. Jonson was hailed at his death as “king of English poetry”, as England’s “rare arch-poet”. With his death, as more than one memorialist declared, English poetry itself now seemed also to have died. No one had spoken in these terms at the death of Shakespeare. since the muses had so much mourned for the loss of such a son, it would be a shame for him not to appear in mourning for the loss of such a subject. At the death of Shakespeare in 1616 James had shown no such minimal courtesy. The first holy days we had every night a public play in the great hall, at which the King was ever present, and liked or disliked as he saw cause: but it seems he takes no extraordinary pleasure in them. But Shakespeare and his company were not merely royal servants, bound to provide a steady supply of dramatic entertainment at court; they also catered for the London public who flocked to see their plays at Blackfriars and the Globe, and who had their own ways of expressing their pleasure, their frustrations, and – at the death of a player – their grief. 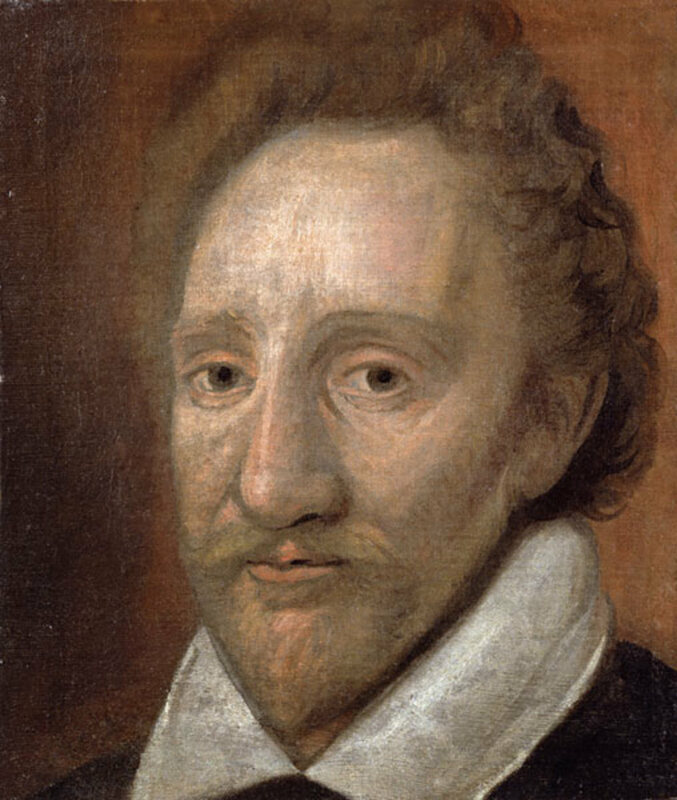 A portrait of the actor Richard Burbage. 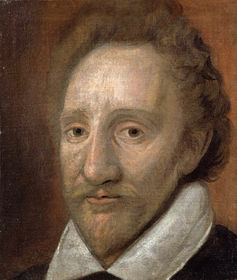 When Richard Burbage, the principal actor for the King’s Men, died on 9 March 1619, just seven days after the death of Queen Anne, the London public were altogether more upset by that event than they had been over the death of the Queen, as one contemporary writer – quoting, ironically, the opening lines of Shakespeare’s 1 Henry VI – tartly observed. So it’s necessary, I think, to pose a further question. Why should the death of Burbage have affected the London public more profoundly than the death not merely of the Queen but of the dramatist whose work he so skilfully interpreted? 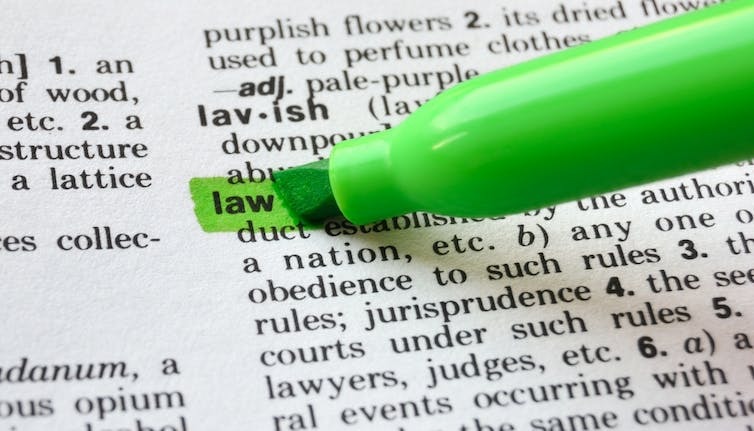 I believe the answer lies, partly at least, in the status of the profession to which Shakespeare belonged, a profession which didn’t yet have a regular name: the very words playwright and dramatist not entering the language until half a century after Shakespeare’s death. Prominent actors at this time were far better known to the public than the writers who provided their livelihood. 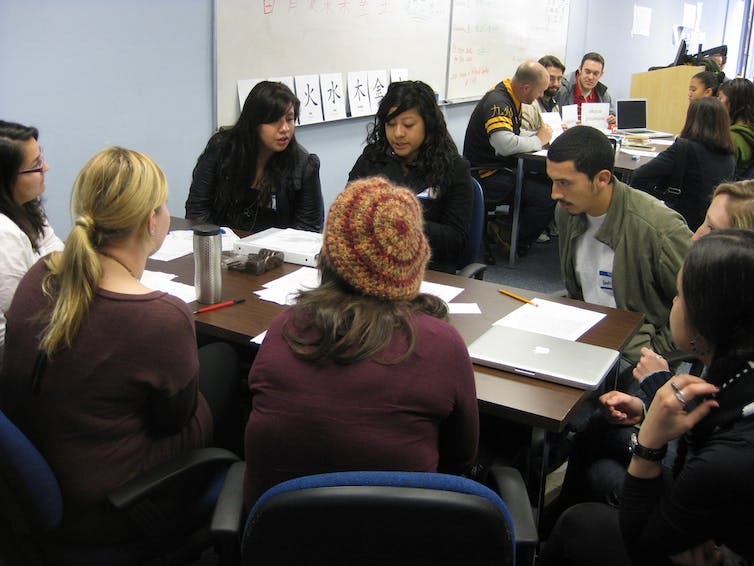 The writers were on the whole invisible people, who worked as backroom boys, often anonymously and in small teams; playgoers had no easy way of discovering their identity. Theatre programmes didn’t yet exist. Playbills often announced the names of leading actors, but not until the very last decade of the 17th century did they include the names of authors. 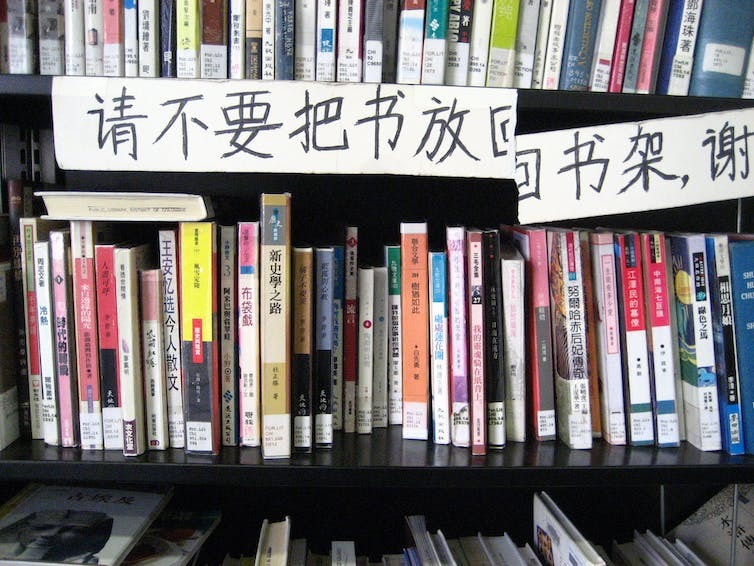 Only a fraction of the large number of plays performed in this period moreover found their way into print, and those that were published didn’t always disclose the names of their authors. At the time of Shakespeare’s death half of his plays weren’t yet available in print, and there were no known plans to produce a collected edition of his works. The total size and shape of the canon were therefore still imperfectly known. Shakespeare was not yet fully visible. In 1616 the world didn’t yet realise what they had got, or who it was that they’d lost. Hence, I believe, the otherwise inexplicable silence at his passing. At the time of Shakespeare’s death another English writer was arguably better known to the general public than Shakespeare himself, and more highly esteemed by the brokers of power at King James’s court. That writer was Shakespeare’s friend and colleague Ben Jonson, who early in 1616 had been awarded a pension of one hundred marks to serve as King James’s laureate poet. A 1623 copy of the calf-bound First Folio edition of William Shakespeare’s plays. A first folio edition of Shakespeare’s collected plays was finally published in London with Jonson’s assistance and oversight in 1623. This monumental volume at last gave readers in England some sense of the wider reach of Shakespeare’s theatrical achievement, and laid the essential foundations of his modern reputation. At the head of this volume stand two poems by Ben Jonson: the second, To the Memory of My Beloved, the Author, Mr William Shakespeare, and What He Hath Left Us assesses the achievement of this extraordinary writer. Shakespeare had been praised during his lifetime as a “sweet”, “mellifluous”, “honey-tongued”, “honey-flowing”, “pleasing” writer. No one until this moment had presented him in the astounding terms that Jonson here proposes: as the pre-eminent figure, the “soul” and the “star” of his age; and as something even more than that: as one who could be confidently ranked with the greatest writers of antiquity and of the modern era. Today, 400 years on, that last line sounds like a truism, for Shakespeare’s fame has indeed endured. He is without doubt the most famous writer the world has ever seen. But in 1623 this was a bold and startling prediction. No one before that date had described Shakespeare’s achievement in such terms as these. This is an edited version of a public lecture given at the University of Melbourne.